The decision on Ford's manufacturing future in Australia can be stretched for another two years, according to the company's second most senior executive. Mark Fields - who becomes Ford's global chief operating officer from next week and has been tipped to eventually take over as chief executive - said at the Los Angeles motor show that no decision had been made to end production of cars in Australia and that the company had two years to decide whether or not to drop the axe. “In the next couple of years we can make those kind of decisions, which gives us a bit of lead time,” he said. That may mean operations in the company's Geelong and Broadmeadows plants in Victoria can continue, although Ford is remaining tight-lipped about what cars may be produced. Ford has committed to an updated version of the struggling Falcon large car, but its days are numbered as Ford moves to global designs. The Falcon is expected to be killed off by 2016, possibly to be replaced by another sedan such as the upcoming new Mondeo or larger Taurus. “I think we have made an announcement recently about investing in some next-generation products in our operations down in Broadmeadows and we have investments in place for 2014 for vehicles from 2016,” Fields said. The future of the Australian car industry is a hot topic in light of the strong Australian dollar and emphasis on other industries such as mining. Holden chairman and managing director Mike Devereux recently said the future of local manufacturing could depend on the outcome of the next federal election. Means that the Commondore is going to live on forever! I cant see why, instead of fitting a gay 4cyl to it, they made a space for the 2.7TDV6 from the Territory! I'd totally buy one of those over a 4cyl Falcon. 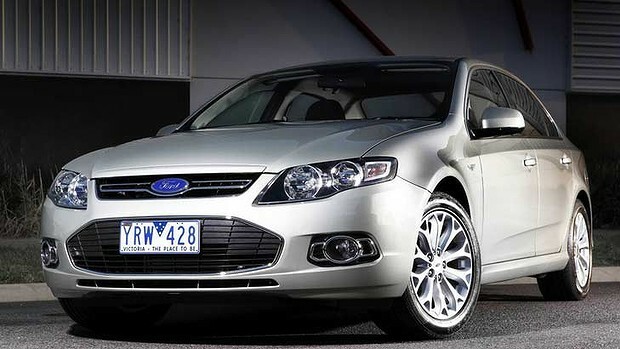 Why cant ford australia push to replace the taurus and mondeo with the far superior falcon. It is such a great shame that a truly global car should be only sold locally! They should have done that to the ute/tonner years ago, most mines won't allow 2WD vehicles, one company purchased a heap of RTV tonners, set them up with toolbox bodies only to find out they couldn't use them shortly afterwards, if you had the choice of a Hilux or Falcon to run up and down the hwy what would you prefer.